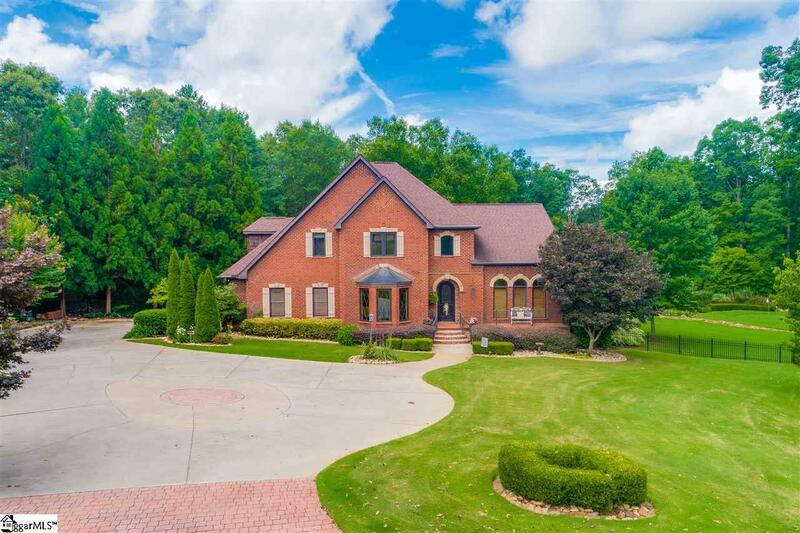 Stately all brick custom built executive home in gorgeous Kensington situated on two acres. 4 bedrooms, 3 full baths, and 2 half baths, office/library, dining room, great room with focal fireplace and balcony overlook. Kitchen has new appliances, loads of cabinets, plenty of granite countertop, and unique insets for countertop appliances, center island also has plenty of storage with farm sink. Just off the kitchen you will find the breakfast nook and sunroom with plenty of natural light with tongue and groove ceiling. Just off the kitchen you will find the ample laundry with laundry shoot and half bath. 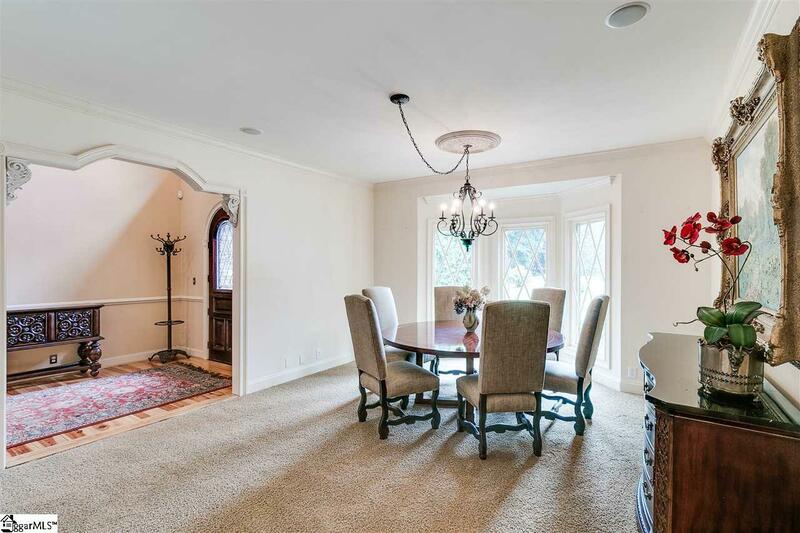 Spacious dining room with custom windows. Oversize master bedroom with a wall of windows and door that leads to brick patio with wood burning fireplace. Master bath is well appointed and has his and her closets, separate tub and shower, dual sinks. Upstairs you will find 3 large bedrooms, 2 full baths, plenty of closet storage with laundry shoot, across the balcony overlook leads to a spacious bonus room with closed storage doors on either side. 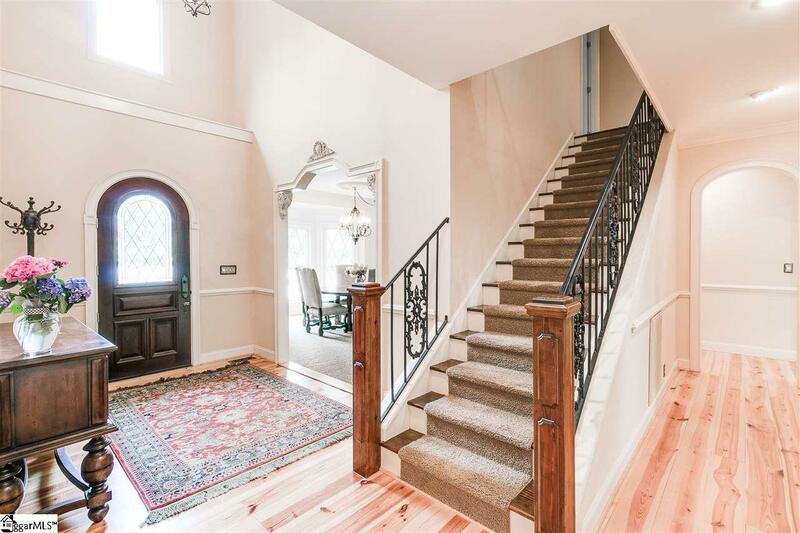 Door from breakfast area leads to lovely brick patio with wrought iron railing and wood burning fireplace. Sit and sip as you enjoy all the beauty of the botanical garden, a gardner's paradise, on this unbelievably private fenced two acres. Landscape lighting every where with splendid water fountain. Best of all, for the avid golfer, there is a tiff eagle bermuda chipping and putting green with rock base where shots can be made from 60 yards! There is even space for a garden which you can enjoy from the gazebo. 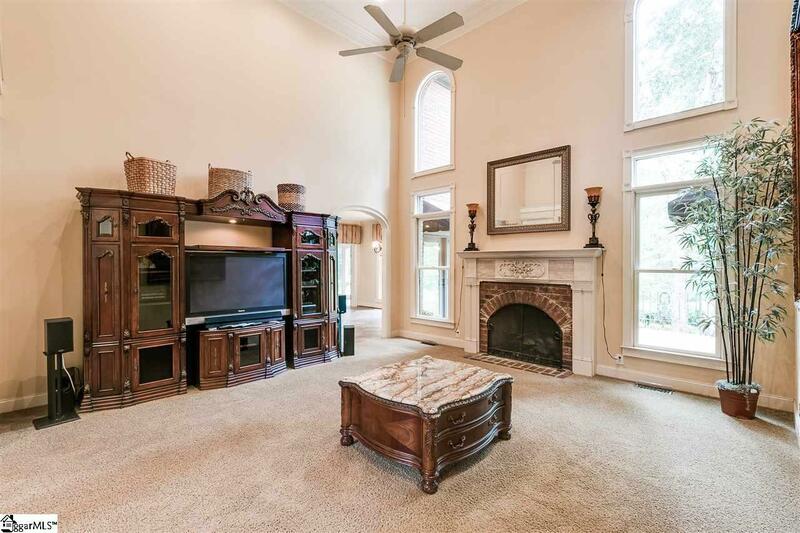 Do not miss the arched door ways, classy lighting, extensive molding and trim throughout this unbelievable home. Convenient to i85, 12 minutes to downtown Greenville, 1 mile from grocery and restaurants. 20 minutes to Clemson or the lakes. Listing provided courtesy of Taylor Cox of Bhhs C Dan Joyner - Pelham.